India celebrates 63rd Independence Day on August 15. 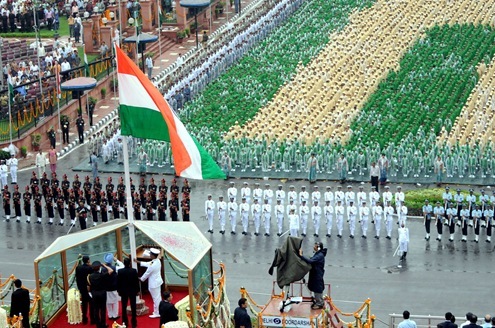 Here is a photograph from Press Information Bureau, showing the Prime Minister, Dr. Manmohan Singh saluting the Tricolour flag after unfurling at the ramparts of Red Fort, on the occasion of 63rd Independence Day, in Delhi on August 15, 2009. Terrorism, including sea based terrorism. Ill-treatment of seafarers by State authorities – Taiwan, South Korea. Shipment of fake drugs and other ‘Made in India’ goods from China. Smuggling, Corruption 1, Corruption 2.